The six, and final post is by Kanchna Ramchandran, Associate Research Scientist, Department of Psychiatry. One of the ultimate goals of academic publishing is to make the results of robust research available to peers in academia, end-users and society in general, in a timely fashion. OA journals represent the future in smoothly oiling the wheels of this process, which may sometimes appear opaque amongst conventional journals. An advantage that I have experienced in submitting to an OA journal is the quick turnaround from submission to final editorial decision. It can be quite disheartening to wait for up to 1 year (the longest I have experienced from a tier 1 conventional journal), only to receive a rejection at the end. In comparison, I have received full reviews within a few weeks from an OA journal. Thus, even if rejected, the research can benefit from editorial and peer-reviewed feedback to improve the manuscript, before moving forward in a timely fashion along the publishing assembly line. I have also appreciated the transparency, and on one occasion the conversational style of the review process between the editor, reviewers and the authors of the manuscript in an OA journal that I have worked with. It embodied egalitarian scientific dialogue, where the authors could engage directly with reviewers under the guidance and direction of the editor. On a subliminal level, this can make a huge difference to all stakeholders involved in the publishing process, keeping peer-reviewers and authors on a level playing field. An excellent example of a pure OA journal is the Frontiers group, which over a medium range in time, has established a solid reputation of scientific excellence in the quality of peer-reviewed articles it has published. It is also heartening to see conventional journal publishers take a hybrid approach in offering authors the option of early online publication, for a fee albeit. It is hoped that in the medium run, the business model of peer-reviewed publishing amongst OA journals, is able to economically scale itself such that authors do not have to bear the financial cost of getting their research to the public domain. This unfortunate current practice appears to undermine both academic and business ethics. It is in this domain that the OA fund offered at the University of Iowa can bypass these ethically thorny issues while supporting researchers in getting their work published. 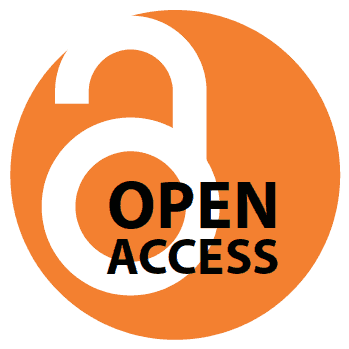 In a digital world, OA publishing seems the sensible way forward. Outside of the impact on science, it is an environmental boon as a well, reducing the stress on paper production and the resources required to store these journals. As innovations arise in enhancing digital storage capacity and security, OA publishing could well become the conventional form of scientific reach in the developed world. The challenge will be on OA publishers to provide truly open non-digital access in the near future, to the majority of the world’s population with poor digital access, but nevertheless has a basic human right to literacy and education, about new discoveries, innovations, inventions and ideas.